Fantastic waterfront opportunity in Pasadena Yacht and Country Club with 160 feet of seawall! This is your chance to have one of the very best locations within the community and add your personal touches to make this home fit your personal style. Single-level living adds to the attractiveness of this home. 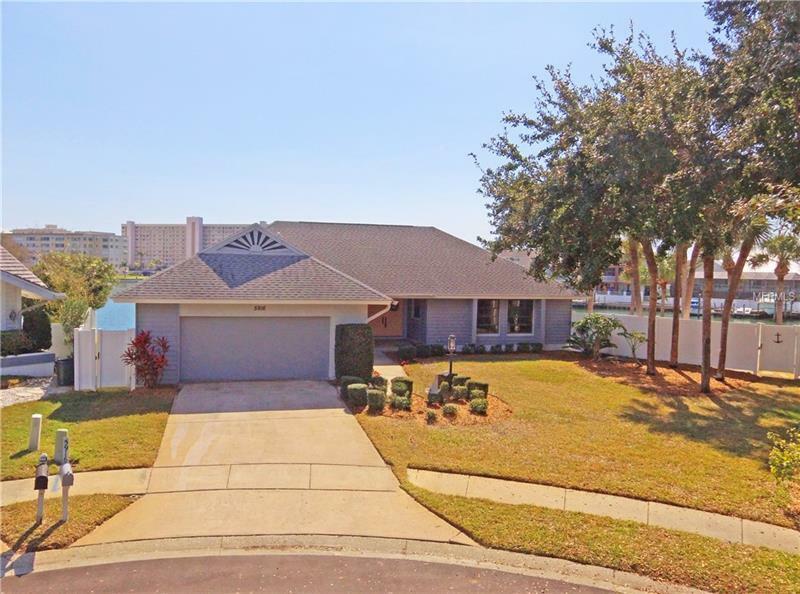 Plenty of room for family or entertaining friends in this waterfront paradise. In this gated community you will find yourself surrounded by luxury homes with 24 hour security. This is a rare find in a community that has both a country club and a marina. The home offers great water views from the minute you walk in the front door. The living room has a vaulted ceiling, a fireplace and plenty of windows to view the serene water. This home has a split floorplan with 3 bedrooms, plus an office that could also be used as a fourth bedroom. The expansive waterfront provides ample room for outdoor living, with two wood decks attached to the home, one covered, one uncovered as well as the large, pavered pool area. Even with all of this there is still plenty of grassy area in the backyard giving the lucky homeowner a feeling of space. The waterfront location offers a protected area to moor your vessel while being only a moments from the intracoastal waterway. Can you really have it all? With this home, the answer is yes. Amenities Additional Fees: Country Club and Yacht Club memberships available for additional fees.